Our Huskers fought back valiantly against Northwestern, only to suffer a heart-breaking loss in overtime 😥 This week they’re traveling to Minnesota for what could be a pivotal game for either team. “Both teams will come into this game having already lost more games than a year ago and with identical 4-5 overall records. Whichever team wins this game will be in much better shape for a potential postseason invitation,” per Athlonsports.com. So we need to generate all the karma we can to help our Huskers win! 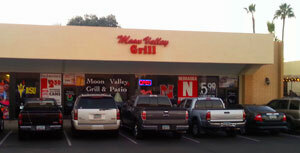 Our featured watch-site this week is Moon Valley Grill at in central Phoenix at 15414 N 7th St #2.